The Martin County Genealogical Society in Stuart, Florida is working in close partnership with the local Blake Library to help develop its collection of genealogical materials. In fact, they did something particularly smart and helped the librarians create an online wish list of books and CDs they would like so that potential contributors know exactly what to give. Wouldn't it be wonderful if more local genealogical and historical societies worked together so closely with their local libraries for the benefit of all? A donation is being made for the purchase of Georgia Civil War Pension Files, Mexican War Pensions, Texas Confederate Pensions, and U.S. Marshalls, so now Blake Library can cross a few items off its wish list! I am privileged to be part of the U.S. Army's Korean Repatriation project to locate family members of soldiers who were KIA or MIA in Korea. With the normalization of relations, we are getting back more remains, but over the last 50 years, the Army has lost touch with the relatives of many soldiers. Several other genealogists and myself are helping find the families again. The Korean War Project is an online, non-profit effort to preserve the memories of those who served our country in Korea. Among other content, the site contains a database of all the KIA/MIA, and allows viewers to add "remembrances" for specific individuals. Recently, the remembrance added for a particular soldier led me to his niece and helped me solve his case. This site is both a wonderful tribute and tremendous resource. Please consider visiting it. Better yet, add a remembrance for or make a donation in honor of someone you know who served in Korea. Many small cemeteries across America have been badly neglected and are in danger of being lost forever. These cemeteries contain information about individuals which in many cases is not found in public records. Sally Kading and a cluster of friends from Fairacres, New Mexico are restoring and maintaining several such cemeteries. Their hope is that doing so will not only preserve this important historical information, but also demonstrate how individual efforts can make a major impact. The cemeteries which they currently maintain have gone from weed-ridden and inaccessible to being usable sources for the genealogical community. Recently, this informal group found another abandoned cemetery, wooded and overgrown to the extent that it is not visible from the road. There is nothing identifying it as a burial site and it is extremely difficult to find. They are currently in the process of clearing the area around the headstones and opening a path from the road. A grant will be used to put up a sign to mark the site so that others will be able to discover or locate it. The San Benito County Historical Society (Hollister, CA), established in 1956, is the recipient of September's Honoring Our Ancestors grant. The society has a large collection of primary records, family histories (including oral recordings), and over 3,000 images in their photographic archives available to genealogists. A grant has been made for archival materials such as photo sleeves and acid-free folders to help protect the society's collections. Deborah Brothers and William ("Bill") Furry of Springfield, Illinois have been awarded a grant for a scanner in support of their research project that began with Bill's own family, but now extends to the descendants of approximately 30 children who were transported from Ft. Smith, Arkansas to Springfield, Illinois during the Civil War. The children were gathered up and sent away by the chaplain of the fort, Rev. Francis Springer, a former Springfieldian and neighbor of Abraham Lincoln's. The journey was arduous and some of the children died enroute. Upon arrival, the survivors were distributed to families via the "Home for the Friendless." One of the orphans, Mattie Tully, wrote "The Hardships of an Orphant Girl" about these experiences. Bill also discovered Rev. Springer's war journals and edited them into a book, which will be published by the University of Arkansas Press next spring. In an attempt to share this forgotten piece of our history, Deborah and Bill began to do lectures on Springer and "Hardships" at the Orphan Train Society, genealogical societies, Civil War Roundtables, and churches. They now intend to write a book and develop a website, and will use the scanner to capture photos and documents for both efforts. OK, this one is an admittedly personal choice. My extended Rusyn/Slovak family just had a weeklong village reunion in Osturna, Slovakia. While there, I met with the priest (Ivan Bojcuk) and learned that the church (St. Michael's Greek Catholic) needed repairs. Specifically, it has a hole in the roof that will cost about $10,000 to fix. So while we were there, we held a raffle and quickly raised $1,000 as a start. A private donation was also made to the church my ancestors had attended for centuries, as its records have tied hundreds of us together and I hope it will remain there for centuries to come. Excuse my personal indulgence on this one. I promise the next one will have nothing to do with my own roots! The Genealogical Society of Pennsylvania, founded in 1892, has been selected as the grant recipient for June 2000. They plan to use their grant to address an important issue facing all genealogical societies, which is how to service "distance members." The GSP's "Virtual Lecture" proposal is designed to bridge the programming gap, just as digitization of records is being used for the access gap. In addition, they would like to encourage lectures and discussions that involve the use of "genealogy as the context for human identity." GSP intends to use the technical support of the About.com network to run the "Virtual Lectures", which will feature a lecture summary followed by an upcoming "event chat" hosted by a prominent genealogical guest on a specific topic of PA genealogy. Congratulations to the Marquette County Genealogical Society in Marquette, Michigan. It has been selected as the first recipient of the grant for May 2000. MCGS was organized to share a common interest in genealogy, help preserve and organize resources in the area, promote family research and maintain a collection of genealogical resources. They also provide the community a genealogical library that is available to the public free of charge. The grant will be used to print interview forms for their ambitious project to interview as many of the county's residents who were born prior to 1930 as possible. Marge Rice has an admirable and unusual hobby. She rescues orphaned photos from antique stores and uses her genealogical skills to reunite them with their families of origin. To date, she has restored 2,284 photos to family members. Grateful recipients have sent her so many thank you notes that she is now on her second scrapbook of them! Marge plans on using her grant to rescue another batch of photos. If you're lucky, maybe they'll include yours! Marge has a web site where you can view all of the names in her photo inventory and contact her. November's grant goes to Camden County Library in Voorhees, New Jersey for being one of the most genealogy-friendly libraries around. Although they do not have the staff to handle genealogical requests, they are very helpful in providing alternative resources and will, as time permits, try to facilitate your research. On three occasions, they have been kind enough to assist with Korean Repatriation Project cases by locating and faxing obituaries within 24 hours! Back in 1991, historian Richard D. Longo was asked by the mayor of Rochester, New Hampshire to undertake a project to locate all of the city's cemeteries. The mayor thought there were 72, but Richard has found 139! After he finds a cemetery, he takes photos, notes the location, records all headstone data, and enters all of this into a database - more than 12,000 names so far. Because many of these are small, off the beaten path cemeteries, Richard often has to note their location by reference to buildings, boundaries, etc. Because he fears these reference points will change over time, he will use his grant to purchase a GPS to enable him to note the precise, geographic location of each cemetery, so no one will have to repeat his efforts in the future. In a program Gloria Cordova calls "Finding and Honoring Our Spanish-Mexican Grandmothers," she uses her own family history and doctoral dissertation research as a means of discovering and giving visibility to Spanish-mestiza ancestral women. Gloria's intent is to inspire others to research and discover the women in their families, to learn who they were, and to love what they represent. The program also discusses New Mexico history and genealogical records as related to the early Hispano settlers of the area. Gloria will use her grant to cover expenses incurred in presenting her program. The Lawrence Cemetery Restoration Project of Long Island, NY is an all volunteer project formed to repair the vandalized and nearly abandoned Lawrence Cemetery, Lawrence, Nassau County, NY (c.1831) to its original pristine condition. Upcoming plans include organized clean ups and landscaping, the installation of new fences and iron gates, grave stone repairs, and the development of an official record of stones. There are currently over 100 stones damaged and faced down in the two acre cemetery, making it virtually impossible for most of those who wish to visit or seek genealogical information. The organization has a regular newsletter and volunteers range from two to 90 years of age. A grant is being given to support this historic and challenging endeavor and will help pay the balance needed for a new iron gate. Donna Bradley is the recipient of a grant for her project to supplement the 1905-1997 CA Death Index that resides on Rootsweb.com. Specifically, Donna intends to copy, transcribe and upload pre-1905 death records for San Diego County. This new index will also reside on Rootsweb. Over time, Donna (a long time volunteer under Rootsweb's Random Acts of Genealogical Kindness program) hopes to extend her efforts to other records (e.g., marriage, divorce, etc.) and other CA counties. The California Pre-1905 Death Index project is well underway and spreading like wild fire! This initially one-county project is becoming a statewide one supported by generous volunteers and donors! The African-American Genealogy Group of Philadelphia is planning a Black History Month celebration for February 2, 2002. This celebration will include presentations about the involvement of African-Americans in the Civil War (conducted by descendants dressed in the attire of the era), a variety of workshops, and a guest speaker. Students from the African-American Studies Department of Temple University and public schools will participate as well. A grant is being given to support this educational initiative. Please contact Mildred Diane Harden for more information. Susan Parish owns the negative archives of three Olympia, WA photographers who were active circa 1870-1995. In all there are over 100,000 negatives. Due to some personal misfortunes, Ms. Parish is no longer able to maintain and store the collection. Her efforts to date to find a new home for the negatives have been unsuccessful to date. A grant has been given to Ms. Parish to pay for proper storage of the collection while she continues her search for an appropriate repository. Anyone with suggestions and/or Washington roots (Who knows? Maybe some of your ancestors are in the collection!) is encouraged to contact Ms. Parish or visit her website at Shadow-Catchers. Megan was a Godsend to me...and my community's history and untold family historians. Thanks to her generosity, I was able to survive a difficult financial time in my business which is based on my being a private photo-archivist, and pay storage on a very large collection of over 50,000 historic, commercial portrait negatives until I could find a home for them. Given more time, which her grant allowed, I was able to convince the Washington State Archives that these historic portrait negatives were valuable, and now they are in proper storage at their climate-controlled underground facilities on the Washington State Capitol Campus which is accessible to anyone wanting to do family research! At the time I found her and applied for her grant, I had been paying storage on them for over 18 years, but had run out of money as I had recently been injured in an automobile accident and had to close my photography business while I convalesced. I had to severely cut back on my expenses and had to make difficult choices. I had always known these negatives were valuable to genealogy and had, over the years, made prints from them for many people who had contacted me and were so very thankful they could find photos of family members. But I could no longer pay the storage fees and was desperate, as the owner was going to toss them because he could see no value to them. I was so very sad and then I found Megan! I can't thank her enough for her work on behalf of history and genealogy as precious artifacts like this are one of a kind and will never be again, and without people as dedicated as her would be lost to future generations. Komunitna Nadacia Modra Torysa or The Blue Torysa River Regional Foundation, is a private, non-governmental, grant-giving organization in Lipany, Slovak Republic. Spearheaded by Sona Sabolova (foundation director) and Peace Corps volunteer Susan Finklepearl, its aim is to provide financial support to individuals and groups working to solve economic, social and environmental problems faced by rural communities in the Upper Torysa region of Slovakia. This grant is being given to the Foundation in support of its Cultural Heritage Program, which is designed to preserve and rescue Slovak craft traditions. The organization was brought to my attention by Pete Semanick who recently arranged for the installation of a playground in Olsov, the village his family comes from. Please contact Susan for details on how you can make a donation. Remember, even a few dollars go a long way in Slovakia! Linda Alexander wrote, "There's no such thing as coincidence. I have been "found" twice by materials that seemed to want to be returned to their original family, as well as have their story told." 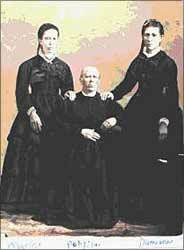 Most recently, she received the 1842 indenture papers of a 6-year old girl. Through research, Linda learned that the child had been murdered the following year by the wife of the man who bought her. There seem to have been only two items to prove she ever existed -- the indenture and a blurb in the local newspaper that told of the trial of her murderer. Linda has made it her mission to learn this little girl's full story and put it in written form. March's grant will be used to support this effort. As she says, "This girl remains a timeless poster child for abuse . . . and (she) deserves closure." Linda, who only learned of her own mixed heritage a few years ago, also gives lectures to educate folks on how interconnected we truly are. To learn more about her intriguing projects, visit I Am America. With her keen interest in Slovak genealogy, Karen Melis has produced a family newsletter (Vodzak/Lopata), organized international family reunions, and supported TARG (Tatra Area Research Group), which has a number of family history initiatives concerning villages on the Polish/Slovak border. This grant is being awarded for just one of these efforts, the transferring of photographed church records from some of these Slovak villages to indexed, searchable CDs which will be made available to the extended TARG community. I hope other regional and ethnic organizations will consider borrowing this wonderful idea! Your Past Connections is a terrific site created by Ed Elliott for the purpose of "helping people find original items and memorabilia from their family's past." Through this site, you can search for family photos, Bibles, and other memorabilia through the "Available Items" feature, as well as leave your wish list of family treasures you hope to find through the "Requested Items" feature. An update feature allows you to be notified of new listings on a periodic basis. Ed has been doing this several years at his own expense and only recently started to accept donations through the Amazon Honor System (through which we contributed). If you like what you see when you visit, please consider making a contribution yourself. Mattoon Public Library of Mattoon, IL, established in 1903, has a local history room that serves both resident and remote genealogists. The collection includes an extensive obituary file, city directories dating back to 1893, newspaper microfilm for 1861-1947, and a large file of photographs. Because of the advancing age of the city directory collection, the new library director has decided to scan the individual pages into PDF format and make them more accessible to patrons. Barring copyright problems, they will also make them available on the library's website. The library also recently received records from the local VFW with personal data about Mattoon servicemen who died in WWII and will digitize these files as well. The grant will be used to purchase a scanner and Acrobat software to make these records more accessible to all. Orphan photos are one of the saddest aspects of genealogy; those photos that stray from family hands and wind up unidentified in some antiques store or flea market. That's why I'm a big fan of efforts to reunite these wandering treasures with their families of origin. Dead Fred's Genealogy Photo Archive is one of the best mechanisms for doing this. With more than 20,000 records representing more than 7,000 surnames, this free site is searchable and user-friendly for those wishing to post their own photos. I actually found a long-sought branch of my extended family due to a mystery photo I uploaded to there. A grant has been made in support of the Dead Fred gang's ongoing efforts. Organized in 1946 and incorporated in 1967, the Genealogical Forum of Oregon has been serving genealogists for over 56 years. I know firsthand because I had the pleasure of using their facilities during a research trip I piggybacked onto the 2001 NGS conference in Portland, Oregon. This month's grant will be used by the GFO to launch a project to gather, copy and publish funeral cards from African-American funerals in the Portland area. Anyone who has done African-American research knows the value of these documents which were frequently used in lieu of obituaries. Here's hoping others consider following the GFO's lead! Surah Carletha LeNoir-Mfume of Los Angeles, CA instructs students aged 13 to 18 each week after school. The subject? How to reseach their ancestors. The group, African American Genealogy for Youth, includes not only African Americans, but also Mexican and Native Americans. Surah wanted to obtain copies of Tony Burrough's inspiring Black Roots for her students. Tony, being the kind of fellow he is, readily agreed to personalize copies for each of Surah's current students. This month's grant is for Tony's terrific book. Thanks, Tony! The Creative Combustion humanities class at I Can Do Anything Charter High School in Reno, Nevada has launched the Saving Generations Hillside Cemetery Project. According to Joseph Galata, "The cemetery has been ruined, vandalized and left in absolute disrepair since 1973. Buried there are 1,400 children, teens and adults. The city government has declared this cemetery a 'public nuisance' as college students have broken tombstones and used them for blocks to fix their cars, littered the graves with liquor bottles, and even held a barbeque on the grave of a 22 year old named Corrie who died in 1896. The state legislature passed a bill making it legal for the graves to be dug up and the bodies removed so the land can be sold and used to build public college parking or dormitories, so my high risk teens created a project called Saving Generations to save the cemetery. They are leading a public awareness and fund-raising program to restore and preserve the cemetery and have begun by simultaneously cleaning the cemetery up, doing genealogical research, and getting the cemetery made into a public landmark instead of a public nuisance. The students are also filming their project and writing a screenplay. They already took particular interest in a 17 year old boy who died in 1896 and traced the boy's ancestors all the way back to 1750 when his family left Ireland and came to NY, then to Kentucky, then to Indiana, and then to Reno." A grant has been made in support of this extremely worthwhile endeavor. If you watched the PBS Ancestors series, you may recall the story of Suzanne Ballard and how she and some others discovered a set of old diaries written by an Irish tenant farmer, James Harshaw, in the 1800s. These diaries recounted the day to day lives of an entire Irish community as well as political events of the day and were invaluable to Suzanne in her research. Since then, the diaries have been declared a national treasure and its author officially recognized as an important contributor to the history of Ireland. As a result, The Donaghmore (Iveagh) Heritage and Preservation Society was established. One of the society's first activities was to create The Harshaw-Martin Trail which aims to highlight the Donaghmore area as a historical site and bring the Harshaw Diaries and its stories back to life. Many of the locations mentioned in the six volumes remain today, some virtually unchanged since the times described. This grant is being given to help with the purchase of signs to mark this ancestral trail in Northern Ireland. Saint Paul Church and School has been inextricably linked to the history of Leavenworth since its founding in 1861 by German Lutherans who settled in the "First City" of Kansas. The church recently appointed its first congregational historian, who is now conducting a survey, inventory and assessment of historical artifacts, records and materials to determine what has been retained and its state of preservation. Ultimately, everything will be catalogued, artifacts will be displayed, and records will be transcribed for their historical and genealogical value. This grant will provide for an initial supply of archival materials toward this effort. Here's hoping that more churches do what's necessary to protect and preserve their irreplaceable documents, photos and artifacts! Modene Knight Thornton is preparing to publish a new kind of cemetery book that will provide much more than just the details contained on monuments. Antioch Cemetery in Luna, Freestone County, Texas was established around 1871 and has over 800 graves. Modene has researched the genealogy of these people for many years, so her book will include the dates and places of birth, marriage and death of all those buried there, as well as the names of their parents and children (except for those who are still living). She has also gathered photographs of many of the interred and plans to incorporate them as well. Modene hopes that others who are involved in creating cemetery books will use this comprehensive format in the future. This month's grant will be used to support this special publication. Do you have ancestors from Norway, Iceland, Denmark, Sweden, Finland or Estonia? If so, you might want to attend Scandinavian Fest where you can learn about your heritage first hand! This grant has been awarded in support of a demonstration by a history teacher and re-enactor who travels as a Norwegian immigrant, "Ole Oleson". Ole entertains and educates the crowd - especially youngsters - with his trunk full of personal belongings that he empties while explaining how and why immigrants such as himself brought these particular items to their new country. Steve Smith of the U.K. has created a lost and found website to "help family history researchers locate lost heirlooms and other related family memorabilia of their UK ancestors." Heirloom Search features an alphabetized collection of photos, letters, and other documents to search through, as well as a community board where people can post messages about items found or ones they hope to get into the appropriate hands. The site has a particularly good record of placing items of genealogical and historical value with county records offices, where they can be safely held for public viewing and research. A grant has been given to Steve to further his re-unification efforts! Richard Deuel lost his sister, Cindy Deuel, in the tragedy of 911. Cindy, only 28 years old, was an avid genealogist and Richard was her family history partner. Just about a year ago, Cindy discovered the unmarked grave of their great-great-grandfather, Henry Deuel. Appropriately, Richard had her buried at the same site along with others of her ancestors. Because of her passion for genealogy, he is commissioning a special headstone which will have her family tree on one side and the twin towers on the other. 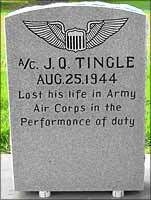 A grant was made to contribute to the cost of this headstone. Well deserved attention and recognition has been brought upon America's fire service as a result of the September 11 attacks. The Fire Museum of Greater Chicago assists families of Chicago area firefighters who have died in the line of duty since 1858 to learn more about their ancestors and the ultimate sacrifice they made in securing the lives and property of others. This grant and matching funds will be used to secure death certificates for members of the Chicago Fire Department. Information from these certificates will then be added to their database of over 20,000 names. The Southern California Genealogical Society has launched the "1890 Project" to fill in this missing census year by recreating the 1890 population of Los Angeles County through every available record or listing of residents' names between the years 1888-1892. As part of this effort, they are going to create an every-name index of every 1890 issue of the L.A. Times, which just became available in a digitized format. The SCGS will use the grant to help purchase this new resource, which will also be available for their patrons at their facility. The Knight Museum Partners of Alliance, Nebraska is the only genealogical library within 80 miles, aside from a LDS FHC that's only open one day a month. They archive all available information on Box Butte County, NE, are responsible for answering all requests that come into the county, and put all available information on the US GenWeb Box Butte County site. This month's grant will assist with the compilation of a special cemetery database which includes more than 16,000 burials in 25 cemeteries. For each entry, they take a tombstone photo, look up an obituary, and then merge in information from marriage records, class lists, and naturalization records to make a "one-stop-shop" for people to find everything they have about one person in one place. The whole project is being done with volunteers and donations. The Camrose Branch of the Alberta Genealogical Society in Canada is only three years old, but has already hosted speakers from the U.K., compiled and transcribed records, held seminars, and catalogued their genealogical collection. 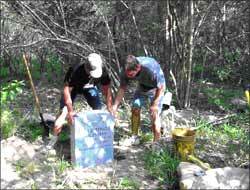 But they're most proud of the fact that they helped discover a native burial ground. Prompted by a story in a local family history book, they conducted research and thought they had located the right spot. A ground penetrating radar company offered to perform a scan of the area and their suspicions were confirmed when the scan identified at least 51 burials in a 14 x 14 meter area. The report estimates that some of the burials are well over 100 years old, and those buried there are believed to be members of the Cree, Blackfoot, and/or Metis tribes. The Society will use the grant to erect a monument on the site of the Amiskoosis Sakahigan Burial Ground, honoring the memory of the indigenous people and their descendants who played such an important role in our Alberta history. Holly Simpson of Quebec, Canada has been researching her family history for the last three years. Her grandparents, mother and aunt were interned by the Japanese in Shanghai from 1942-45 and eventually managed to settle in Montreal in 1950. After a fire in her grandmother's apartment, a secret journal kept her grandfather was discovered and Holly - being the only other journal keeper in her family -- was entrusted with this family heirloom. To ensure that this piece of history is not forgotten, Holly transcribed the journal for her extended clan and is now producing a documentary to inspire others to begin dialogue with their family elders. Lorine McGinnis Schulze of Ontario, Canada, the mastermind behind Olive Tree Genealogy, is working on a project to fill in the 1847-1892 index gap for passenger arrival records in New York. Using two sources -- filmed passenger lists and the lesser known Alms House Records for New York for 1819-1858 (which include the name of the ship that individuals traveled on, the date of their arrival in North America, the ports of departure and arrival and the Ship Captain's name) - Lorine is transcribing and uploading records to her site. Click here to see passenger lists from ships and here to see details of Alms House residents. Lorine is using this month's grant to obtain more Alms House records to transcribe. Last year the National Genealogical Society launched a Bible rescue program for the purpose of collecting family Bibles, digitizing the genealogical contents (to make them available to all), and then locating descendants of the original owners to return the Bibles back to family hands. At the NGS conference in Pittsburgh this year, a rare opportunity for a mass rescue presented itself. One of the vendors was selling an extensive collection of original family pages (removed from Bibles by dealers) which she had purchased over a period of several decades. She was willing to turn over the complete set (over 100) to NGS, provided they pay $3,500 within six months. This month's grant is to jump start the fundraising efforts for this purpose. If you would like to donate for the same cause, please contact Dereka Smith. Anyone who has read any of my series of orphan photo articles knows what a fan I am of websites that help reunite stray photos with their families of origin, make it easier to identify those mystery faces in the sepia-toned photos we all have in our collections, or allow us to simply share old photos with others. AncientFaces is a wonderful site founded by Kathleen Pinna and her son to assist others with these challenges. In the few years that AncientFaces has been online, over 30,000 photos, stories, and recipes have been shared by people worldwide. With more than 2.5 million visitors a year, there's a good chance that some of your distant cousins may be searching the site, so you might want to consider uploading a few photos yourself! June's grant is in support of this terrific, free resource. The Immigrant Ships Transcribers Guild (ISTG) is a well-known and invaluable volunteer organization that copies and transcribes passenger manifests of immigrants. Due to the determination and selfless giving of its volunteers, the ISTG website now contains over 5,000 passenger manifests with over a million surnames! Intent on providing free access to all, ISTG volunteers have covered all expenses, ranging from manifest copies to monitors. This month's grant is to help the organization purchase some much needed supplies and continue its activities. This month's grant goes to Joe Beine for his New Orleans Passenger Lists - Filling in the Gaps project. The purpose is to close the gaps in the standard National Archives microfilm series for New Orleans passenger arrival records (M259 - Passenger Lists of Vessels Arriving at New Orleans, 1820-1902) with alternate records such as WPA transcriptions, the Quarterly Abstracts and other sources. Material found is added to the website in a searchable database. Even if you have no German Roots, do yourself a favor and visit Joe's site for some of the best organized and most current lists of genealogical links you'll find anywhere. Chances are, you'll end up bookmarking several of them. Those of you who believe that orphan heirlooms (photos, Bibles, etc.) should be returned to their families of origin - or who are hoping to find a treasure that has strayed from your own family -- will want to subscribe to Julie Case's wonderful newsletter. Somebody's Links Newsletter: Genealogical Treasures Found lists items that folks have found in flea markets, antiques stores, attics, and on eBay. Better yet, you can search back issues to see if anyone has listed an item from your family's past (be sure to try searching by location as well as name). I've been a subscriber for several years and am delighted to give this month's grant to Julie in support of the tremendous service she is rendering to the genealogical community. Motivated by the lack of genealogical resources for the Pacific region, Christine Liava'a of Auckland, New Zealand is publishing a book on the 1,100 soldiers from Fiji who served in WWI. Having already traveled at her own expense for research in Fiji, she will use her grant to assist with publishing costs. The book will include a chapter of history of the Fijian involvement in the Great War, photos of the military units involved, a list of all the dead, photos of war memorials and graves, extracts from newspapers concerning the soldiers, writings (i.e., letters, poems, songs, etc.) by the soldiers, and maps and illustrations of the areas they fought in. Established in 1990, the Berlin & Coos County Historical Society in Berlin, NH serves the American and Canadian genealogical community from the Moffett House Museum. The Museum has recently dedicated a second room to genealogical research since receiving over 850 books from the Diocese of Manchester from the estate of the late Father Croteau. Some of the donated volumes were in poor condition, so the Society will use its grant to have a particularly heavily used set of eleven volumes (Recueils de Genealogies de Beauce-Dorchester-Frontenac) hard bound. The Mount Olive Cemetery, located in Clarksville, Tennessee, is an African American cemetery that has been in existence since the 1860s. More than a thousand people are buried in the cemetery, which has been abandoned for more than 60 years. Students minoring in African American Studies, along with a ground-penetrating radar team from University of Tennessee Knoxville, are trying to restore the cemetery. Students are also going through old death certificates to identify those buried in the cemetery. This grant will be used to help publish a booklet listing the names of all the people buried in the cemetery in the 1914-1920 timeframe, as well as to run ads in local African American newspapers in an attempt to find family members. Peter Roberts has launched the Bahamas DNA Project to "support traditional genealogy in matching up individuals or families who share direct male or direct female ancestry in the Bahamas and to trace their origins in Africa, Europe, and North America." A grant has been made to sponsor a participant in this intriguing, regional genetealogy investigation. Eve Jankowicz has recently completed a much needed index to an 800-page book called Stalin's Ethnic Cleansing in Eastern Poland: Tales of the Deported, 1940-1946. The book was written by survivors who were deported to Siberia during WWII and contains countless name and place references that could be invaluable to those with roots in this area. Eve will to use the grant to help self-publish the book and make it available to others. The Park County Genealogy Society of Montana will use this month's grant to help construct a marker at an old cemetery near the location of the former county "poor farm." The marker will include a plaque containing the names of 109 individuals who were buried there since no other markers were ever erected at the grave sites. The society is also in the process of computerizing all local cemetery records. StoryCorps is a 21st century WPA whose objective is to "to instruct and inspire people to record each others' stories in sound." To this end, they have constructed a StoryBooth in NYC where anyone can record a broadcast-quality interview for $10 (subsidized by the organization's donors). You get a copy of the CD and a copy is submitted to the StoryCorps Archive, housed at the American Folklife Center at the Library of Congress. A grant was given in support of this worthy mission. The Newberry Library, established in 1887, is a research library in the Chicago area with a department devoted to genealogy. The department has limited funds for certain types of preservation/digitization activity, so a grant has been awarded to assist with the microfilming and digitization of the 1940 Chicago telephone book in order to prevent wear and tear on the originals and make the books more accessible. The intention is to produce CDs that could be copies for patrons and other libraries, and to use this project as a model for future digitization efforts. The Genealogy and Local History Services Department of the Kokomo-Howard County Public Library serves the genealogical and historical research needs of patrons, locally and through an in-depth website most genealogists could only dream of for their towns of origin (it's worth a visit!). This grant has been given in support of a collaborative project involving the Howard County Genealogical Society, the Kokomo-Howard County Public Library, and the Howard County Clerks Office. The project entails the preservation (through digitization) and indexing of government records from the 19th and 20th centuries - including marriage, probate, delayed birth, and various other records which are presently stored in a barn with no heat or humidity controls. The group intends to preserve these records and provide public access by placing them on the library's website. Many of you are familiar with Random Acts of Genealogical Kindness, which was recently featured in the New York Times. The site hosts a network of volunteers around the world who offer to obtain documents and photos in the area where they live. This long-distance service is provided to anyone for cost reimbursement only, and having tapped into it several times to help solve my Army cases, I can attest to the professionalism of the generous volunteers. This grant will be used to assist with server and operating expenses. The Wayne County Cemetery Preservation Society was established in 2000 for the purpose of locating and identifying all the cemeteries in Wayne County, Ohio. By 2002, they supplied the Ohio Genealogical Society with GPS readings and activity reports on 244 known cemeteries. They are also recording and digitally photographing inscriptions on the older and weathering tombstones in their pioneer cemeteries and in the older sections of the largest cemeteries. The group is trying to educate the public, with emphasis on school children and genealogists, on the existence of these old cemeteries and the need to record and protect them. This grant will be used to purchase a projector to help deliver their message to schools and community groups. Ksenija Batic is a student of Ethnology and Cultural Anthropology in Slovenia, and has been researching her own family since the age of ten. She is working to develop a course on Genealogy and Family History at the University of Ljubljana as a first step toward eventually establishing an independent department - something of a challenge in a country that has only had a genealogical society for seven years. As part of her effort, Ksenija has enrolled in the National Institute of Genealogical Studies (Toronto, Canada). Having recently passed the basic series of course with flying colors, she will use the proceeds of this grant to take the intermediate series. Totem Tracers Genealogical Society is the only genealogical entity in the Kenai Peninsula of Alaska (an area larger than Massachusetts and New Jersey combined), except for the local Family History Center. Totem Traces invites the public to their monthly meetings, as well as their monthly "Resource Saturday," held at the Kenai Community Library. They also produce a monthly newsletter and supply volunteers at the local library three days a week. This grant will be used to put Kenai Peninsula cemetery data on CDs for distribution to libraries and the public. An update to a book produced 20 years ago, this undertaking requires extensive effort, including travel to outlying Native villages (sometimes many trips, usually flights or by boat) to read and map their cemeteries, as well as speak with Elders in the villages to insure that the organization is planning a respectful publication. The project currently incorporates 41 cemeteries and over 5,000 entries, and will be an important addition to Alaska genealogical resources, since the Kenai Peninsula was among the earliest areas settled in the state. At funerals in the black community, a program is distributed with a photo and biography of the deceased. The Buffalo Genealogical Society of the African Diaspora recognized that these programs provide a wealth of information for genealogists and decided to collect and preserve them. Members solicit programs from individuals, funeral homes and churches, copy them, and then return the originals to the owners. This month's grant will be used for protective supplies, such as polypropylene sleeves and binders. The society is also working on a web-based index of the materials. The Holder DNA Project has aided genealogists researching the Holder surname by identifying eleven specific, unrelated Holder lines and aligning related families properly. The majority of American Holder lines commence with emigrants from England to Virginia between 1650-1730, moving south and west through the Carolinas, Tennessee, Arkansas, and into Oklahoma and Texas, but there are also from the predominant pattern, including Moravian Holders, 19th Century German immigrants, etc. The Project has assisted in untangling these various lines, which often crossed paths geographically and intermarried, creating obstacles to the establishment of solid paper trails. The Friends of the Garden City Historical Museum of Garden City, Michigan bought the Straight Farm House, circa 1866, and are in the midst of an all-volunteer renovation process to open the top floor as a museum and make other spaces available for events, in order to help pay the mortgage and other operating expenses. They're also orchestrating another fund-raising initiative -- a calendar illustrated with photos of old businesses that once existed in Garden City (a similar calendar last year of grand, old homes was a big success!). This grant will be used in support of their 2006 calendar initiative. This month's grant goes to Jean Scarlott and a group of volunteers who have been photographing and logging old headstones in Caroll County, Jefferson County and Harrison County, Ohio cemeteries. The group has recently embarked upon some restoration projects and this grant will be used to help pay for a headstone to commemorate fifteen coal miners who were killed in a mine explosion on April 21, 1910 in Amsterdam, Ohio. 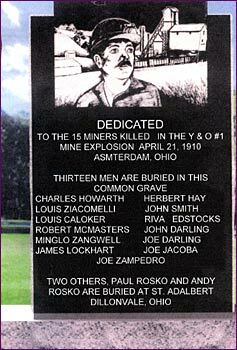 These miners are buried in an unmarked grave in the village of Amsterdam, Ohio, and it was due their deaths that the state of Ohio started paying benefits to widows. Here's an image of what this headstone is projected to look like. A grant has been given to the Louisiana Library Foundation in a fund designated for the repair of damage caused to state libraries by Katrina. Others interested in contributing can learn more at the link provided. For over 130 years, Aoyama Cemetery, a city-owned cemetery located in central Tokyo, has been the eternal resting place of a group of foreigners. They were the missionaries, teachers, doctors, diplomats, engineers, and their families, who contributed to the development of Japan after the Meiji restoration in 1868. The section is separated from the rest of the cemetery and is quite popular with tourists and city residents. The city of Tokyo has been seeking to increase the amount of park space, and has their eyes on four city-owned cemeteries, including Aoyama. In 2002, a committee of academics and politicians proposed to transform about 40% of the cemetery into a park. Since then, work has been underway toward that goal. In order to clear space, the city needs to remove the graves of delinquent plots - both Japanese and foreign - and move some others. In October 2004, white signs were placed in front of roughly 60% of the foreign plots stating in Japanese that they were delinquent and subject to removal. City bureaucrats recognize the historical significance of the important people buried there and have expressed their intention to protect their memory, but are at the same time hoping to remove those whom they feel are not important. The Foreign Section Trust, a group of concerned foreigners who recognize that the entire section is an important historical site, is rallying with the intention of preserving all the graves. Although the group would like to pay the maintenance fees, Japanese law states that only family members are allowed to do so. In addition, due to privacy laws, the government refuses to divulge information about those who are responsible for payment of the graves, frustrating efforts to gather information for locating descendants. This grant will be used for research to track down the families of those buried in this cemetery. The Colorado Freedom Memorial Foundation is working to build a monument dedicated to all Colorado veterans killed in action since statehood. This memorial will be a place for families to mourn and celebrate lost loved ones, for children to learn of the noble deeds of lost family members, and for veterans to pay tribute to fallen comrades. A grant has been provided in support of this initiative. The Carpatho-Rusyn Society is supporting schools in the Zakarpatska oblast of Ukraine to teach Rusyn youth their history, culture and language. A total of 14 schools are supported, and this grant will be used to fund one school for a year. we celebrated by awarding 5 grants! A teacher from a school located in Spanish Harlem will use her grant to take her 4th grade students on a field trip to the Tenement Museum, where they will participate in the Confino Program in order to learn about immigration. This living history program focuses on 1916 and the Sephardic-Jewish Confino family. The students are met by a costumed interpreter, playing young Victoria Confino, who welcomes the students as if they are new immigrants who have just arrived on the Lower East Side of NYC. During the program, the students get the opportunity to touch items in the apartment, try on period clothing, and talk to Victoria about her life. See a photo gallery of the trip this class took to the Tenement Museum. 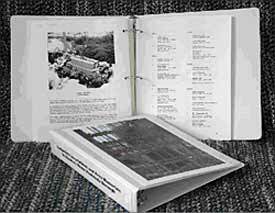 Yamhill County Genealogical Society of McMinnville, Oregon has a collection of VHS tapes of local oral histories created in the mid-1970s. Those interviewed were descended from pioneer families and have all passed away since that time. The tapes are rapidly deteriorating, so the society will use this grant to have the contents transferred to DVDs, which will be made available to the public through the genealogy section of the local library. Mark Mugleston wants to discover a means by which hand-written documents can be extracted through computer technology; that is, through computer hardware, programming languages, and scanners. Current software has the capability of scanning and extracting typed digitized documents using OCR. Mark intends to take this same technology and adapt it to hand-written digitized documents to make it possible to scan censuses, probate and vital records, and other hand-written genealogical documents; digitize them; and then be able to search them via a browser over the Internet. He calls this objective "grand, but realistic." So this grant will be used to help nurture his grand, but realistic goal! Scott County Genealogical and Historical Society was fortunate enough to receive a truck load of old photographs from a local newspaper. Wishing to preserve this valuable collection for future generations, the society will obtain acid free sleeves and albums to protect the photos. Art students in a 100% African-American class in Chicago will use art supplies and historical texts furnished by this grant to explore the themes of self-portrait and identity. As their teacher, Ms. Neater, explains, "My students have been labeled many things by other people, including each other. I would like to provide them an opportunity to describe themselves, visually and in writing (in the form of drawings and poems), articulating who they are today." As part of the project, the students will be looking at the work of Kerry James Marshall, Kehinde Wiley, Carrie Mae Weems, and Dawoud Bey, among others. 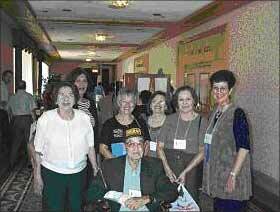 The Lavaca County Historical Commission will hold its 9th annual Alton C. Allen Historical Conference in October 2005 to celebrate the 60th anniversary of the end of WWII. The theme of the conference is the home-front response to WWII. Pilot training occurred in the area and Lavaca County citizens put up markers whenever airplane crashes occurred that involved the loss of life of Army Air Corps cadets and other flyers. The markers, six in all, have all been located. The Commission is in the process of contacting family members of each flyer and inviting them to attend the conference in honor of their ancestor. This month's grant will support that effort. The active members of the Benton County Genealogical Society of Philomath, Oregon have had a project underway for almost 12 years to index Benton County birth and deaths as reported in the Corvallis newspapers from 1865 to 1926 (approximately 9,700 names to date). Progress has been slower than they'd like due to the need for volunteers to schedule time at the few available microfilm readers in the area, so the society will use this grant to digitize two reels of microfilm to allow volunteers to work from their home computers. This is intended as a trial run to see if digitizing the records will speed up the project - not a bad idea for other societies to mimic! In recent years, the descendants of Chang and Eng, the world's original Siamese twins, have begun holding an annual Bunker family reunion in North Carolina. In addition to family members, a number of writers, researchers, documentarians and others attend in order to delve into the psychological, medical, social and other implications of being a conjoined twin - or a descendant of one. This grant will be used in support of this year's reunion. The American WWII Orphans Network (AWON) helps sons and daughters of Americans killed in WWII to find burial and memorial sites, learn more about their fathers, connect with war buddies, find lost relatives, and learn from others who lost their fathers via an online community and conferences. The organization works to keep the memory of all who died alive and to preserve their stories. A grant was made to cover online database subscriptions in support of their mission. Established in 1967 with 2,000 active members from 46 states, the St. Louis Genealogical Society (StLGS) of St. Louis, Missouri, is an all volunteer organization that offers monthly and quarterly publications; monthly meetings with speakers; Special Interest Groups that hold quarterly meetings for individuals with German, Jewish, French, Irish, African American and/or Scandinavian heritage; preservation of records - naturalization, church, mortuary, and cemetery; annual fair with prominent guest speaker; classes at the Society office, local community college and in the St. Louis public schools; a computer lab at the Society office that offers several genealogy software packages for trial use, as well as access to Ancestry.com and HeritageQuestOnline.com; and annual research trips to the Family History Library in Salt Lake City, Utah as well as to Missouri record depositories. Phew! StLGS is completing a project to index all burials in the St. Louis area cemeteries - one which will result in approximately 1.5 million burial records. The focus now is on early church registers, so grant money will be used to photocopy and microfilm these fragile records. Resulting films will be given to the local church, StLGS office and the Special Collections at the St. Louis County Library. This project will provide archival back-up copies of this data, thereby insuring preservation of the original records in the advent of a fire or other destruction. Richard D. Longo of Rochester, New Hampshire is the first two-time Honoring Our Ancestors grant recipient. Check out his earlier award in October 2001. His organization is 100% volunteer and includes Richard and three others. They are attempting to find, physically verify, and transcribe everything that is written on a headstone, footstone, monument or obelisk in Rochester, and insert it into a computer program that they have created. They also find missing headstones (e.g., bring them to the surface to transcribe the information) and GPS all burial grounds. Now they have been given authorization to repair any broken or damaged headstones that they deem important. This grant will be used for the very practical purchase of epoxy guns, nozzles, boxes of epoxy/drier cartridges, and bags of Sacrete (a sand and cement mixture). The North Dakota State Genealogical Society, based in Bismarck, North Dakota, coordinates projects to promote the history of the families of North Dakota and preserve records. The society recently placed the North Dakota Death Index online by funding the website setup, and has also worked on indexing the 1885 Dakota Territory census, compiling county cemetery indexes, funeral home records, school records and early marriage records. The purpose of this grant will be to support the setup a website for a pre-1925 marriage index for the state. These records are kept in county courthouses and some have been lost due to negligence, damage or misplacement. It is hoped that this initiative will make people more aware of the value of these and all old documents, as well as encourage indexing and reorganization of these records to make them more accessible to the public. The Buckingham County High School Genealogy and Local History Club, run by Jeanne Stinson of Buckingham, Virginia, was recently launched to help students record the oral history and genealogy of their families. This school is not located in an affluent area, so books and even postage can be beyond the reach of many. Jeanne intends to use this grant to obtain books and engage students in the quest for their roots — and, as she so aptly puts it, "to find themselves in the process." Established in 1996, The Hispanic Genealogical Society of New York is a non-profit organization focused on Hispanic ancestry. Its volunteer staff organizes meetings, plan projects, provides instructional forums and seminars, encourages Hispanics to research their roots, offers assistance in genealogical research, and protects and restores historical documents relating to Hispanics and their history. This grant will be used to pay for printing costs of their newsletter Nuestra Herencia (Our Heritage), which recently won the National Genealogical Society's Newsletter Competition's first prize for the second time (2001 and 2005). The Hartington Public Library of Hartington, Nebraska serves the patrons of Cedar County and genealogists across the country with local history resources and microfilmed newspapers. According to director, Tami Anderson, "It is becoming more apparent that the stories and pictures of our early ancestors are being lost due to deaths of our older generation." Tami was recently contacted by a former county resident who now lives in Arizona, but is willing to travel and help preserve this forgotten history for the library. Fortunately, this former resident is a genealogist and retired librarian! Her first project will be to scan old photos from local families and burn them to disc. She'll also help re-organize, index, and otherwise enhance the library's current local history section. This month's grant will assist with this effort. The Great Falls Genealogy Society of Great Falls, MT runs a library for genealogists in the area. The library is completely staffed by volunteers, open to the public, and contains over 5,000 books and other sources for avid researchers. The society's library will use this grant to acquire copies of tribal records for Montana Indian tribes around Great Falls, a topic of great interest to locals and other with roots there. Great Falls is home to the Little Shell tribe of Chippewa Indians; less than 100 miles from the Blackfeet Indian Reservation; less than 100 miles from the Rocky Boys Indian Reservation (Chippewa-Cree tribe); and less than 150 miles from the Fort Belknap Indian Reservation (Assiniboine and Gros Ventre tribes). Also in Montana are the Fort Peck Indian Reservation (Assiniboine and Sioux tribes), Crow Indian Reservation, Northern Cheyenne Indian Reservation, and Flathead Indian Reservation. Sylvia Manning of Vermont is a genealogical researcher on a mission. While reading through an old series of newspapers for marriage and death notices, she realized how helpful it would be if they were indexed and made readily available to others. So between 1998 and 2005, she indexed 57 years' worth of weekly papers and posted that index online. Now she's working on a fresh round of projects including one that will be incredibly valuable for anyone with roots in Brandon, Vermont or the surrounding area. The library there has a collection of index cards and information compiled by a local man who passed away. Apparently, the collection includes census records, land information, vital records, civil actions, etc. — and much of it is not available elsewhere. Due to space considerations, the collection is stored in the library's attic, and because some researchers pilfered documents or badly misfiled them, the local librarians have restricted access. Since there are only two librarians, the boxes of index cards and notebooks — that fill shelves that are roughly 6 feet high and 8 feet wide — are mostly untouched these days. Sylvia offered to scan the cards and put them on CDs for accessibility and distribution, and the library has agreed, so Sylvia will use her grant for a scanner to support this project. She's aware that this initiative will take years, but says, "I have the patience to stay with the job until it's completed, even if it turns in to another seven year project like the newspaper project I did." I think the genealogical world could use a few more folks like Sylvia! LaVaun Kraft of Texas recently inventoried and published her second edition of nine Lipscomb County, TX cemeteries. She personally walked each cemetery many times to record names and vital information on the existing tombstones. During the inventory, she discovered that many graves were unmarked or had deteriorating, tin markers. LaVaun will use her grant to purchase small, granite head markers that will record names and birth and death dates. She has already contacted many family members to secure funds to mark their families' graves, and has personally paid for ten markers herself. This donation will help her continue her admirable efforts. Keira Murphy, Director of Middle School for Aiken Preparatory School in Aiken, South Carolina, has a passion for genealogy research and uses Ancestry.com as her primary online research tool. She is excited to share this passion with her students in an elective genealogy course to be taught this spring, and requested a three-month subscription to Ancestry.com to facilitate this effort. I contacted MyFamily.com about this request and the company kindly agreed to donate an annual subscription to the school for the benefit of the students. A thousand thank you's to MyFamily.com/Ancestry.com for their generosity! Check out this San Francisco Genealogy website, run by Ron Filion and Pamela Storm Wolfskill, to provide free internet access to genealogical and historical information for San Francisco, California and the surrounding area! To commemorate the Centennial of San Francisco's Great Earthquake and Fire of 1906, the San Francisco Assessor-Recorder's Office is working with sfgenealogy.com to present an historical exhibit based on their internet project, The San Francisco 1906 Earthquake Marriage Project. The Assessor-Recorder's Office is planning a variety of media coverage for the exhibit, which will be displayed at City Hall during the month of April. This month's grant will help Ron and Pam create and stage the exhibit, in order to bring their internet-based article, database and family stories to a wider audience. 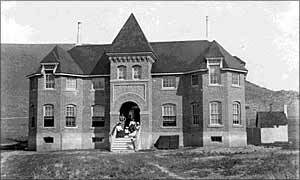 The Grande Prairie & District Genealogy Society is a regional branch of a provincial society that provides genealogical services to an area known as the "Peace River Country" in Canada. This area extends across Northwestern Alberta across into Northeastern British Columbia. Among the many services the society provides is its award-winning 'Genie in the Library' program. The 'Genie' is a volunteer who spends two hours in the Resource/Research Library Room every Wednesday evening in addition to being 'on call' all the time. The resources in their genealogy library are quite modest, consisting mostly of donated books, indices, atlases/maps, local histories and a dated computer. This grant will be used to expand the reference materials that the Genie will have access to in furthering genealogical research in the area. The Wayne County Public Library of Kenova, West Virginia is launching an on-going oral history project with a "station" set up at each library where individuals and families can come and be recorded. They will also (upon request) travel to local senior housing or nursing homes to collect interviews. As they explain, "Memories of the elderly are fading, thus the stories...we would like to make an effort to preserve this history available in our area so rich with details from the people who experienced significant events or just have memories of family reunions, coal mining, or harvest season." This grant will be used to purchase digital voice recording systems.